A coastal village in between Thornham and Brancaster which is well-known for the highly acclaimed RSPB Reserve. It is home to the renowned Titchwell Manor Hotel and Restaurant which serves high quality food throughout the day. Also here is Briarfields Hotel with its stunning views across the marshes and out to sea. From here there is direct access onto the coastal path with easy walking to Old Hunstanton in one direction and Brancaster in the other. 3 Marshland Barns is a luxurious contemporary coastal barn conversion, previously used privately as a much-loved family holiday home, available for holiday letting from May 2019. 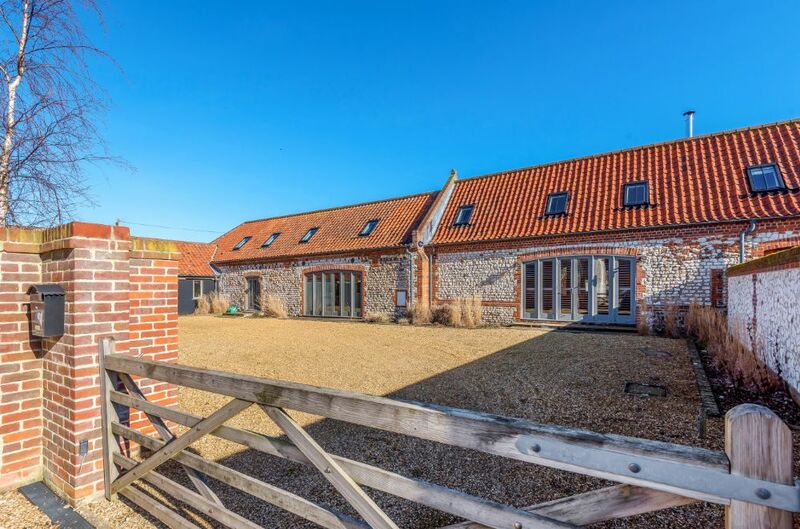 This lovely barn provides light and spacious accommodation for up to eight guests with plenty of living space, a fabulous kitchen, superb sitting room and a private walled enclosed garden. The four beautifully presented bedrooms each have their own bath/shower room and equally suitable for four couples or two families, with two bedrooms conveniently located on the ground floor and two located on the first floor. It is quietly situated only a few minutes walk to the Norfolk coastal path, near the RSPB reserve at Titchwell Marsh and a short distance from the highly regarded Titchwell Manor and Briarfields hotel. Lark Cottage is an immaculately presented spacious three-storey house with stunning uninterrupted coastal views.This is a lovely place for family and friends to stay throughout the year, with an open plan kitchen/dining/sitting area enjoying the fabulous views and a separate sitting room. There is a superb master bedroom suite, with emperor size bed, on the top floor with gorgeous views, with a further three bedrooms and two bathrooms on the first floor. The fully enclosed back lawned garden has a patio, providing the perfect spot to sit and enjoy the open views. It is conveniently situated only minutes' walk to the coastal path with access to the sandy beach and a short distance from the highly recommended Titchwell Manor and Briarfields hotel. The Cartshed is a fabulous contemporary coastal barn conversion which to date has been used privately as a much-loved family holiday home. 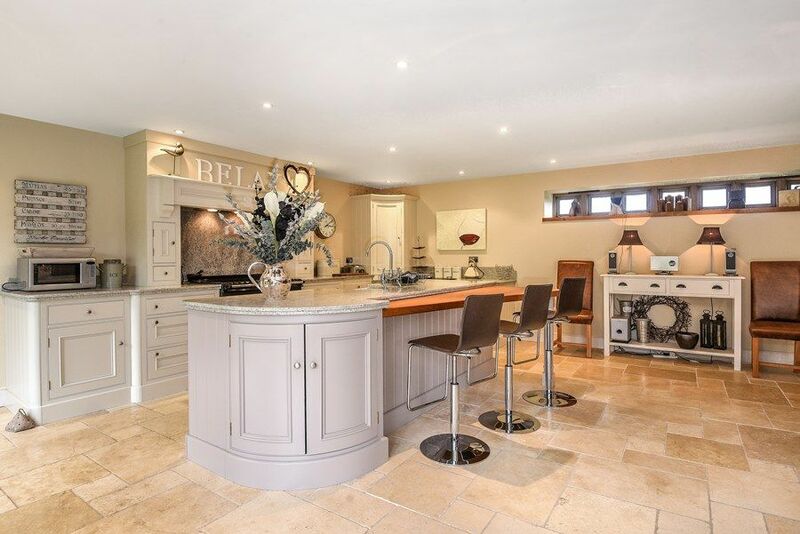 It provides light and spacious accommodation for up to eight guests with a wonderful kitchen/dining area, enormous entrance hall and a huge stylish sitting room, all with glazed doors opening out to the private walled garden. The four beautifully presented bedrooms all have distant sea views and are well spaced out, affording a good degree of privacy, each with their own bath/shower room, including a downstairs bedroom for less mobile guests. 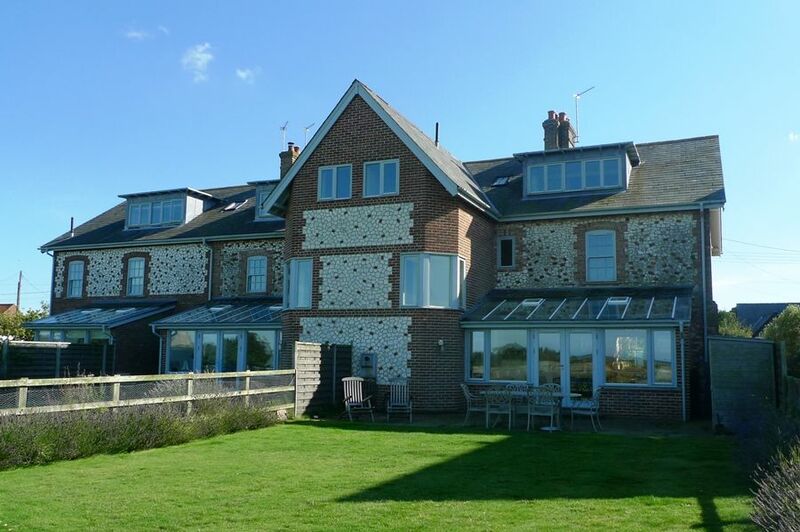 It is quietly situated only a few minutes walk to the Norfolk coastal path, near the RSPB reserve at Titchwell Marsh and a short distance from the highly regarded Titchwell Manor and Briarfields hotel. Please note: The owners will not accept a Hot Tub at the property.